Home Reviews Wallets Who Is The Best Bitcoin Wallet For 2017? As a general rule, Bitcoin hardware wallets are the most secure form of Bitcoin wallets, however, unlike software wallets, they cost money. If you’re serious about securing your Bitcoins go for a hardware wallet. If however you’re only storing a small amount of coins you can use one of the free software wallets shown on this page. Summary: Much like TREZOR, Ledger is a cold wallet designed for users who want increased security. The wallet is actually a physical device that connects to your computer and acts as another source of protection. Meaning, you can’t send Bitcoins from your wallet without owning the physical device. If you’re looking for a cold wallet (e.g Ledger or TREOZR) I’ve compared the two in this post. Ledger offers a variaty of products such as Ledger Nano S, Ledger Unplugged (a contactless Bitcoin wallet), etc. The most popular model today is the Ledger Nano S.
Pros: Beginner friendly, very secure, great support. Cons: Costs money, More security = less usability (this is an issue with all cold wallets). Summary: TREZOR is the perfect solution for storing a large amount of Bitcoins in order to keep them out of harms way. The combination of world class security with the flexibility of any other web wallet make it ideal for beginners and experts alike. The company has been gaining a nice amount of traction and reviews throughout the last year. For a full review of TREZOR click here. Pros: Extremely secure wallet, easy to use and intuitive interface, supports additional wallets and altcoins. Summary: Coinbase is the leading exchange service today in buying and selling Bitcoins. It was founded in 2012 and since then has received over US$31 million in venture capital funding. The Bitcoin exchange service is available in 19 countries around the world. Their Online wallet is beginners friendly but the fact that the company holds your funds is can be somewhat risky. Having said that Coinbase has recently launched their Vault service which denies the company control over your funds. Pros: Beginner friendly, ability to add funds from within the wallet. Established and respectable company. Cons: Company has some control over your funds (depends if you’re using Vault). Not supported worldwide (yet). Summary: The most popular Bitcoin wallet today, Blockchain.info allows you to send / receive Bitcoins through your browser or mobile phone. This is what’s known as a hybrid wallet – meaning the company stores your wallet online but they do not have access to your private keys. However since the wallet is loaded from their servers some trust in the company is still needed. Recommended for beginners who are trying out Bitcoin. Pros: An established and trusted company in the Bitcoin community, good interface, available for mobile and web. Cons: 3rd party trust required, hard to make completely anonymous payments. Visit Blockchain.info’s website Review coming soon! Exodus is a relatively new wallet (launched July 2016) that allows you to store not only Bitcoins but also Litecoins, Dogecoins, Dash and Ether. It’s unique in its beautiful design and intuitive user interface. You can also trade cryptocurrencies from within the wallet. Currently the wallet is available only in a desktop version. Here’s a full review about Exodus. Pros: Easy to use, allows to trade cryptos from within the interface, self hosted, awesome support from the founders. Jaxx is an all platform Bitcoin and Altcoin wallet that allows you to store cryptocurrencies and also exchange between different currencies from within the wallet (via the ShapeShift exchange). The wallet is extremely intuitive and is self hosted so you don’t trust the your private keys with any 3rd party. Pros: Easy to use, allows to trade cryptos from within the interface, self hosted, awesome support, works on multiple platforms. MyCelium is a popular mobie app wallet that features a wealth of advanced privacy and security features. Yes, the wallet can be a bit complicated for newbie users but it’s still one of the safest and fastest on the market. As an open source software program, MyCelium is constantly being upgraded. While MyCelium is primarily a hot wallet, there are some cold storage features for Bitcoin users looking to put their wealth on ice. Pros: Advanced privacy features make this app great for people looking to stay anonymous, and advanced security features will help keep your Bitcoin wealth secure. Cons: No web or desktop interface, so you’ll have to use your smart phone to access this app. MyCelium is also better for more advanced users, so keep that in mind. Visit MyCelium’s website Review coming soon! Summary: KeepKey is one of the newest players in the Bitcoin market. It has a very sleek and unique design which makes it probably the best looking physical Bitcoin wallet out there. The device itself is very intuative and easy to set up. You can read a full Keepkey review here. Pros: Beginner friendly, great design, simple to user, secure. Cons: Costs money ($99), relatively new company. Looking for a desktop solution for your Bitcoin wallet? If so, Bitcoin Core (also known as Bitcoin QT) is worth a consideration. Bitcoin Core offers a lot of security and privacy features, and supports complete transparency. Bitcoin Core is well-regarded for being a stable system, though it can use up a lot of memory and space on your computer. Still, for modern computers the hardware requirements are rather low. Pros: Features plenty of security and privacy features and offers a highly stable system. Cons: No mobile app and no web interface makes it difficult to use this wallet without having your own personal computer on hand. It also requires a lot of free space to store the whole Blockchain. Visit Bitcoin QT’s website Review coming soon! This fast, lightweight desktop app is a good choice for someone using older and less powerful computers for their bitcoin storage. The most processor intensive parts of the wallet are handled by remote servers. 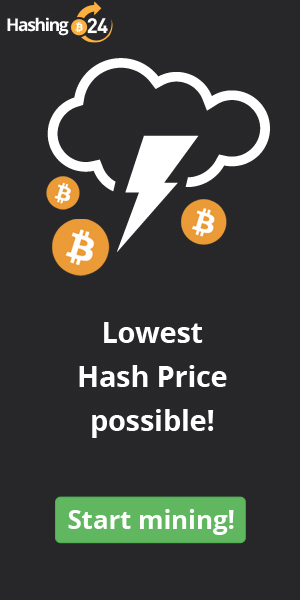 Electrum is well regarded for its advanced security and privacy features, and users can even recover their wallet with a secret pass phrase, though some people would prefer a wallet that doesn’t rely on remote servers. Pros: While many apps are processor intensive, Electrum is known for being fast and light weight. Cons: Not friendly for newbies, and the reliance on external servers could present security threats. Amory is a well-known and trusted brand when it comes to Bitcoin security, though the app is usually best for more advanced users. If you are looking for an app that emphasizes safety and security, Armory should make the short list as the app features a variety of encryption and cold-storage options. Armory is among the most respected brands when it comes to Bitcoin security. Pros: Very flexible and adaptable to just about any situation. Offers industry leading security features. Cons: Requires advanced user knowledge and is not known for being user friendly. Xapo is a web-based wallet system, so alls you need to access it is a web browser and Internet connection. Xapo is known for having reasonably advanced privacy and security features, especially for a web-based wallet. The company supports payments through a debit card system, making it easy to spend your Bitcoins. The app is also friendly for newbies, so if you’re new to Bitcoin, give Xapo a close look. Pros: Xapo debit card system allows you to use Bitcoin ATMs and spend at merchants across the world. Cons: Web-based wallets face extra security threats, and you won’t be able to manage your Bitcoins without a Internet connection. CoinKite is another newbie friendly, online only app that allows you to spend your Bitcoins at various merchants and provides ease of use with numerous other features. CoinKite does require you to surrender control of your Bitcoins to the company itself. The service does feature some advanced security and privacy features, and also payment services that make it easy to spend your coins. Pros: Easy-to-use and easy to access system that allows you to spend your Bitcoins with little effort. Cons: Surrendering Bitcoins for third-party control carries a lot of risks and extra security hazards. A user favorite, Green Address allows you to access your Bitcoins through a variety of methods, including online, through a mobile app, or through a desktop client. Better yet, Green Address’s is well regarded as being user-friendly. This makes Green Address one of the most flexible wallets around. Supports multi-signature features and has strong security and privacy features. Cons: Requires the use of a remote app loaded from another location, and shared control over your Bitcoins (meaning the third-party has to approve payments). One of the oldest names in the business, Bitcoin Wallet is known for being fast and relatively easy-to-use. The company believes in “zero trust”, meaning they go out of their way to provide a de-centralized system that provides people with a lot of control over their Bitcoin wealth. High-transparency, along with strong security features make this a very secure program, especially for a web-based wallet. Pros: Well-reputed brand name and a safe, fast, and secure operating environment make this wallet a good choice, though newbies may need a bit of time to get a hang of the system. Cons: Only available online and requires an Android or Blackberry phone. BitGo is known for its high levels of security and is a multi-signature wallet. This means that every transaction will require two-factor identification, which can go a long way in protecting your wealth from malware, hackers, and server attacks. Oh, and these keys are held by users, not BitGo, so they have no easy access to your stash. Pros: A high level of security in a relatively easy and non-technical package. Cons: Two-factor identification can create a hassle and the service does rely on central verification. Summary: Airbitz is a decentrelized, secured and backed up Bitcoin wallet. The promising notion about it is that neither Airbitz or any other 3rd party can access your Bitcoins, so it’s fully independent. The nice thing about Airbitz is that it also supplies you a directory of Bitcoin accepting businesses around you. Also it seems that a lot of thought was put into the user interface to make the experience of using Airbitz as simple as possible. Pros: Beginner friendly, bitcoin accepting business directory, decentrelized. Cons: Unestablished brand, no web interface (mobile only). Summary: One of the best Bitcoin wallets out there, it was created by Bitpay. Copay is a multisig wallet which means that a single wallet can have multiple users. This can be ideal for a corporate account where for example, 2 out of 3 signatures are required in order to confirm a transaction. The wallet also has a desktop, mobile and web interface and is completely independent and open source. You can read our full review of Copay here. Pros: Multisig wallet – allows for improved security, great design, supports multiple devices. Cons: No support, can be a bit overwhelming for beginners. Summary: CoolWallet is another attempt at creating a portable Bitcoin hardware wallet. The device itself looks and feels like a credit card and has one small operation button on it. The device needs to be help closely to your mobile app when sending out coins adding another layer of security. Even though the concept is pretty cool, the execution is far from complete and the device still feels a bit clunky. Click here to read our full CoolWallet review. Pros: Very portable (fits in your wallet). Cons: Device feels a bit clunky, relatively new company behind the product.